Is South Africa aiding the Iranian military? A lawsuit alleging that Africa’s biggest cell phone company conspired to help Iran obtain South African weapons and government support for its nuclear program has drawn fresh scrutiny to Pretoria’s close ties with the Islamic Republic. Cell phone company MTN, in exchange for a license to operate in Iran, allegedly said it would persuade the South African government to vote in favor of Iran’s nuclear program at the UN and to sell it heavy weapons prohibited by international sanctions. The accusations of bribery and corruption against MTN are made in a lawsuit by a rival mobile firm that was also vying for the Iranian operating license. The suit was filed in a US court under the Alien Tort Statute. Johannesburg-listed MTN Group Ltd.’s stock price sank by 7 percent in the week that followed the allegations, even though legal experts don’t give Turkcell much chance of winning in the US. The lawsuit — along with separate accusations that South African front companies peddle influence and defy sanctions to do business with Iran — comes while the United States is ramping up efforts to isolate Iran financially. President Barack Obama is pushing to cut off Iran’s oil revenue, which the United States and European Union countries say could be used to develop nuclear weapons. South Africa, already under pressure from the US over its substantial Iranian oil imports and historic friendship with Tehran, could face new strain over the allegations, which involve one of the country’s highest-profile companies and several top political and business figures. MTN was established with government support as the first major black-owned firm in post-apartheid South Africa, and since 2005 has owned a 49 percent stake in MTN Irancell, which controls about half of Iran’s mobile market. The company has denied the accusations made in the $4.2 billion lawsuit launched in a US federal court by Turkcell, a Turkish company initially awarded the Iranian cellular license, declaring the claims to be « without legal merit. » MTN has commissioned its own investigation under a committee led by a South Africa-born retired senior British judge. The accusations in court documents filed by Turkcell on March 28 are chockablock with political intrigue, implicating high-level government officials and business leaders in using bribes and political influence to help secure the license. Internal MTN memos attached to the lawsuit describe a code name, “Project Snooker,” given to the company’s alleged efforts to thwart Turkcell’s deal. Iran’s former deputy foreign minister and South Africa’s ambassador to Iran are referred to as “Long J” and “Short J” in correspondence about payments of bribes. The lawsuit alleges that MTN struck a deal to deliver a large shipment of military arms and technology, code named “The Fish,” to Iran’s defense ministry in 2004. This was to include Rooivalk helicopters, based on the US-made Apache, sniper rifles, G5 howitzers, canons, radar technology and other defense equipment barred by international sanctions. The promised arms sale never took place, angering Iranian officials, according to documents filed by Turkcell. According to court documents, politically connected MTN executives also offered to influence South Africa’s votes at the International Atomic Energy Agency, the UN’s nuclear agency, on Iran’s nuclear weapons program in the company’s pursuit of an Iranian GSM operating license. 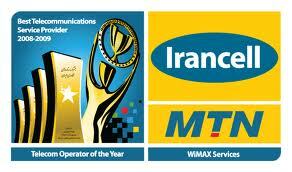 The lawsuit alleges that MTN prevailed upon South Africa to abstain from three IAEA votes on Iran. “MTN created a scheme to displace Turkcell as the license holder by leveraging political tensions in Iran and taking advantage of its political connections within South Africa and Iran,” the court papers say. On this point, MTN is being pressured to abandon its business in Iran from lobby groups such as United Against Nuclear Iran, which has petitioned the US Congress to back efforts to encourage divestment. Avi Jorisch, a former US Treasury Department official, accused MTN of following Iranian government instructions to suspend text-messaging services and block Skype, used heavily by Iran’s opposition movement during protests following the 2009 presidential election. MTN has a corporate responsibility to stop “colluding with a state sponsor of terror that uses its technology to track, silence and kill its people,” wrote Jorisch, who is now with the Washington, DC-based think tank American Foreign Policy Council. The lawsuit filed by Turkcell comes on the heels of a report in South Africa’s Sunday Times describing how local front companies are used in attempted schemes to sell US-made helicopters and spare parts to Iran in defiance of sanctions. The newspaper report alleged that the partner of Deputy President Kgalema Motlanthe, Gugu Mtshali, attended a meeting during which a bribe was solicited to facilitate government support for a planned Iran deal. The claims are now under investigation by South Africa’s public protector, who has a role similar to that of an ombudsman. On the issue of a nuclear Iran, South Africa has repeatedly emphasized Iran’s right to nuclear enrichment for energy purposes, while strongly opposing nuclear proliferation. But the government has so far been unclear about whether it will participate in sanctions against Iranian oil exports. Senior government officials have sent contradictory messages, typical of Pretoria’s recent foreign policy on issues such as Libya. South Africa relies on Iran for more than 25 percent of its annual crude oil imports. Their friendly relationship dates back to the apartheid era, when Tehran supported the liberation movement, but Pretoria is under mounting American pressure to sever ties or else lose access to the US financial system. Deputy foreign minister Ebrahim Ebrahim told reporters last month that South Africa intended to follow the US request, and had already suspended almost all of its oil imports from Iran. But South Africa’s department of energy later corrected his statement, saying that no decision has been taken, and South Africa will not decide whether to reduce Iranian oil imports until the end of May. South Africa imported $364 million worth of crude oil from Iran in February, up from zero oil in January, according to customs data. South Africans are already facing gas price increases, and a switch to non-Iranian oil would potentially require a $40-million cost of converting refineries. Higher prices at the pumps could lead to revolt at home. The South African government must “stop this kowtowing to the US imperialists,” COSATU spokesman Patrick Craven said. South Africa’s main opposition party has called on the police to investigate the claims that MTN tried to influence the national position on Iran’s nuclear weapons program at the IAEA. ← Somalia: « Newly Liberated Areas » what Comes Next?